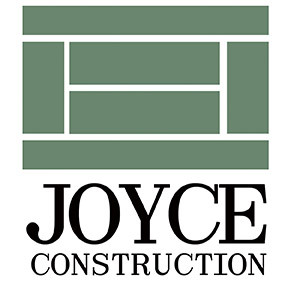 Joyce Construction has specialized in tennis court construction for over four decades. Based in North Kingstown Rhode Island, we have done a wide variety of jobs all over Southern New England. From private homes to country clubs, schools and municipal parks, we provide a top quality product that you can count on and enjoy for a lifetime. No two projects are alike, and the uniqueness of each project is the challenge we enjoy. Projects include post tensioned concrete, asphalt, and clay surfaces for tennis courts, basketball courts, multi-sport courts and more. After your project is completed, we’re always a phone call away for any type of maintenance down the road. We will see to it that your results are impeccable and will stand the test of time. When my wife and I built our home a few years ago, a life-long dream was to have our own tennis court. We knew of John Joyce from the community and asked him to do the tennis court installation for us. Good decision on our part! John did an exceptional job with our court, creating a truly remarkable playing surface we enjoy to this day. John also did all of our fencing and lighting, which is great now that we can play late into the evening in the summer. John has been back a number of times over the years to maintain the surface and to re-line the court. He’s such a great guy, he hasn’t even sent me a bill! As a business person, I would never hesitate to recommend John to anyone, I know that he will take care of them in a highly professional manner. Joyce Construction has been a true treasure for us. When we added our clay courts a number of years ago for our tennis program, we weren’t sure where to turn to have that done. A Club member had suggested John and his team, and it couldn’t have worked out any better. From the start, Joyce Construction took the lead on the project. Permits, site work, installation, fencing, striping, everything was handle by them, and the results were amazing. Club members have had guest come play our courts, and some have asked how to join the club so they can play on our courts! Joyce Construction continues to service our courts on a yearly basis ensuring that the surface is in perfect playing conditions. We would highly recommend Joyce Construction for any tennis court project.